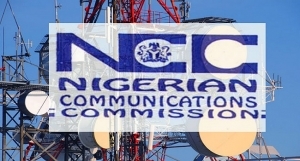 The Nigerian Communications Commission (NCC) on Thursday said that the suspended earlier plan by the commission to increase data tariff charges by telecom operators was to protect consumers and new telecom operators. According to Adedigba, the decision to increase data was to avoid running into monopoly whereby only one service provider will enjoy the sole right of charging consumer any price for data services. He said: “We don’t want to run into monopoly, because if you allow anybody to charge any price, some big operators can charge lower price today and get all the customers to their network at the expense of new entrants. “Once these big operators know that the new entrants have failed, they could not provide service because it is not profitable, they will now keep increasing their own price, knowing there is no competition. He said it was better to have competition than have one segment of the telecom market killed due to predatory pricing, which necessitated the need for data tariff price regulation. Adedigba said that the data tariff price increment remained suspended for now, due to the outcry of stakeholders, especially the consumers. He said the commission would however continue to keep engaging the people to really know that the action of the NCC and what the commission is doing is to actually protect the consumers and the telecom industry. Earlier, in his welcome address, the NCC Director of Consumer Affairs Bureau, Mr Abdullah Maikano, said that the consumer outreach programme of the commission was to bring together telecom consumers in urban areas with network operators. Maikano said such togetherness was to discuss, proffer solutions to consumer related issues and ensure value for money through effective service delivery. He said the theme of the programme “Information and Education as a Catalyst for Consumer Protection,’’ was chosen to reflect one of the cardinal objectives of the commission of ensuring that telecom consumers are protected from market exploitation. The director said that it was also to empower consumers to make rational decision when making their choices of services that would provide them with value for their money. He said any telecom subscriber that is having unresolved issues with his or her telecom service provider can report to the NCC on a toll free number-622 or through their Twitter and other social media platforms. Major telecom service operators in the country were on ground answering and preferring solutions to the problems of their service subscribers.